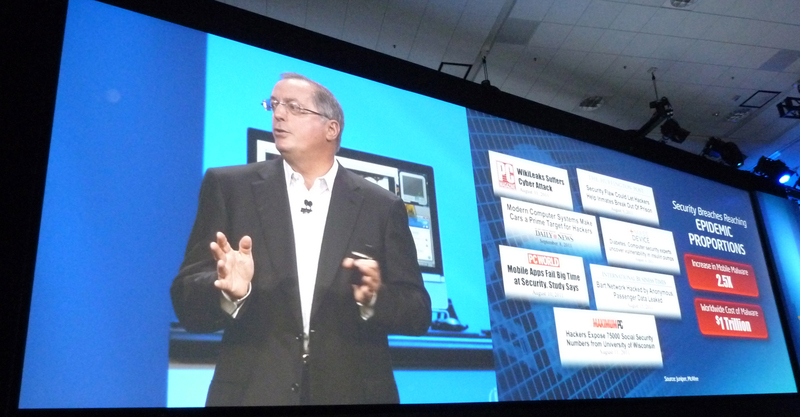 In the opening keynote of Intel's Developer Forum 2011, CEO Paul Otellini gave a brief insight into the future of the company, and shared some exciting details about Intel & Android phones and tablets. 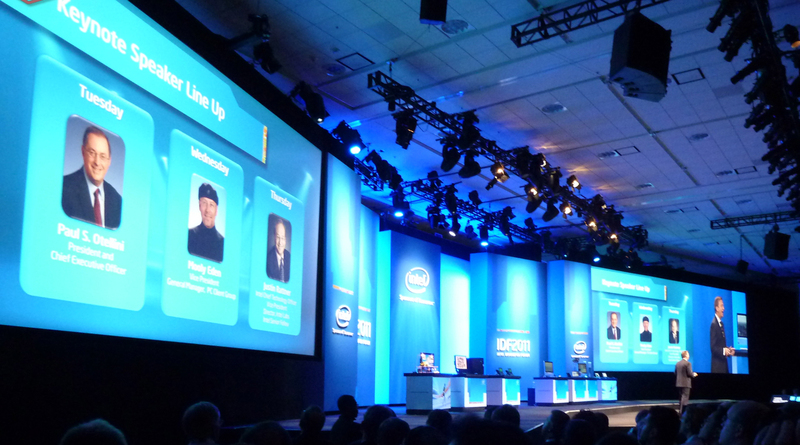 Intel's Developer Forum here in San Francisco is being kicked off by CEO Paul Otellini, who began by giving a brief outlook about the company's future. 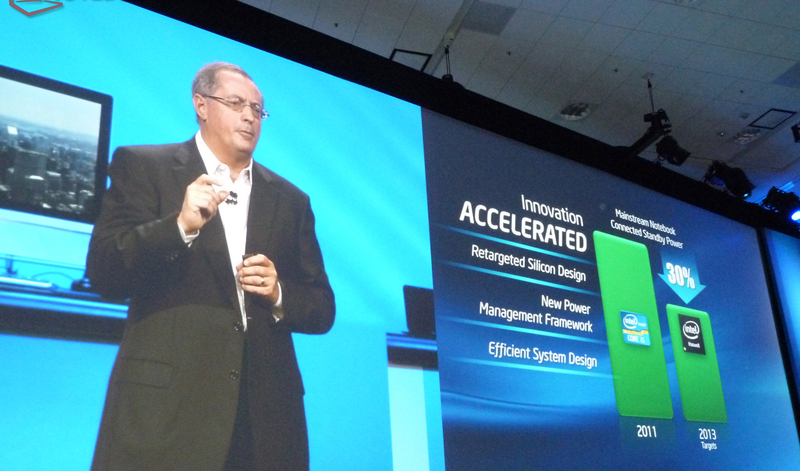 Intel's roadmap appears to revolve around a new 14nm architecture which should arrive sometime in 2013. 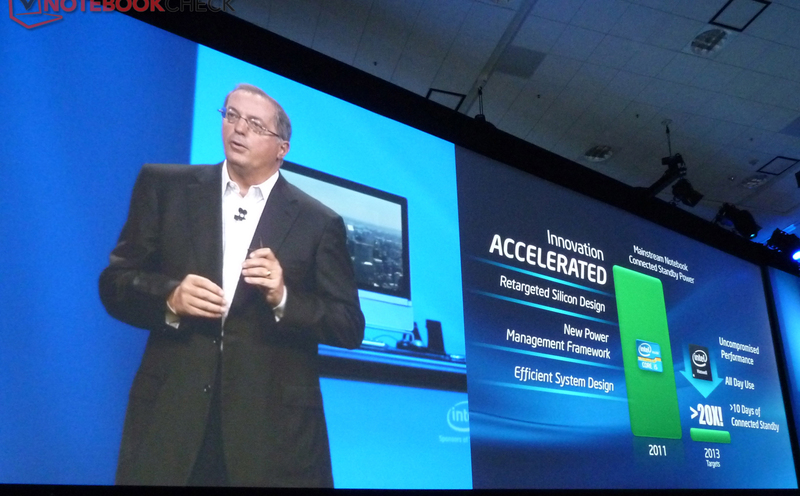 The talk also revolved around the future Haswell architecture which excels in power consumption, and can supposedly use up to 20x less power than current hardware. 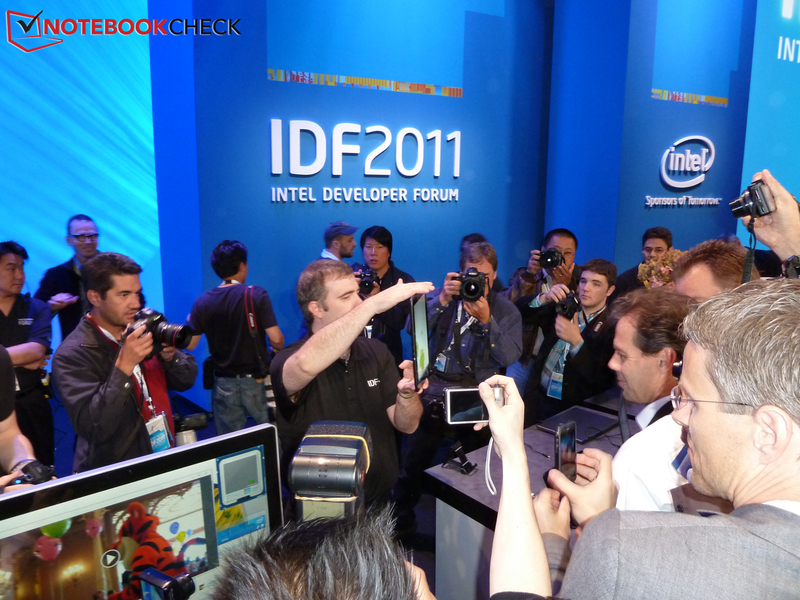 Naturally, the buzz then turned towards the hottest topic in town, the Intel backed Ultrabooks that also stole the show at IFA Berlin earlier this month. The company does have high hopes for the ultraportable notebooks, but also expects the upcoming Ivy Bridge architecture to significantly boost progress and popularity. In making their point about power consumption, Intel did have an exciting demo where a Windows system was powered completely by a single stamp-sized solar cell. Even though the processor on the machine was only a "Pentium-Class" CPU, it does show how low power consumption can reach. 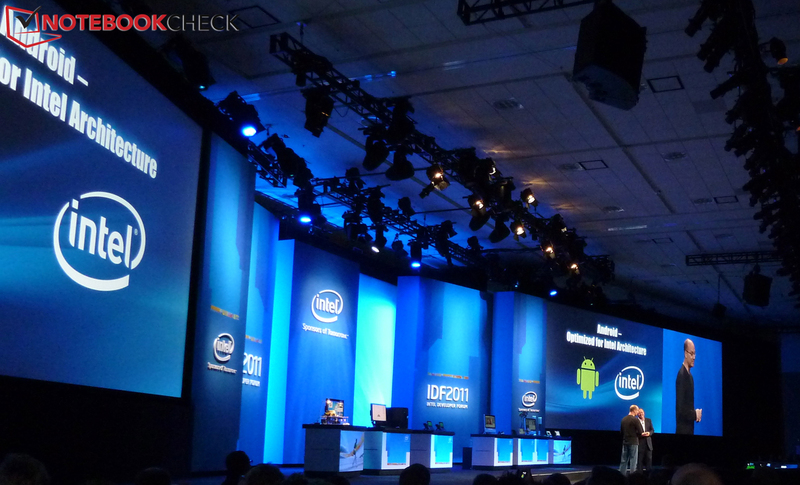 The main focus of the keynote, however, was Intel on Android and the future of the two. One intruiging device on display was the Cisco Cius tablet, which is a Cisco phone running Android OS. 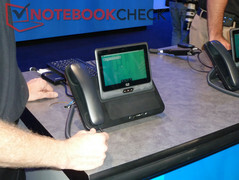 The unit comes with an Intel Atom chip on the inside, and the screen can also be removed and used a stand-alone tablet. 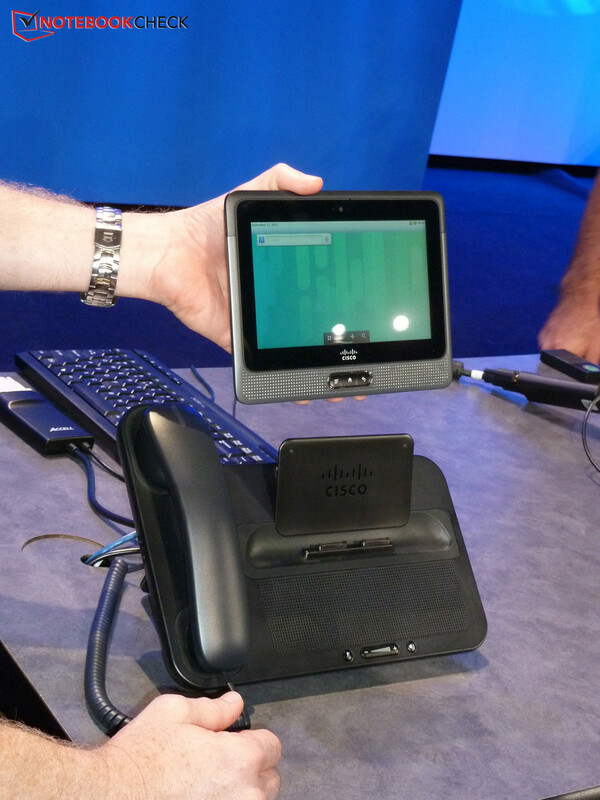 In addition, the phone appears to retain support for Cisco's Marketplace (useful for business apps), but does have the added bonus of the regular Android Market as well. Other devices were also displayed later on in the event, including another Intel-based telephone and a pure tablet, both running Android. 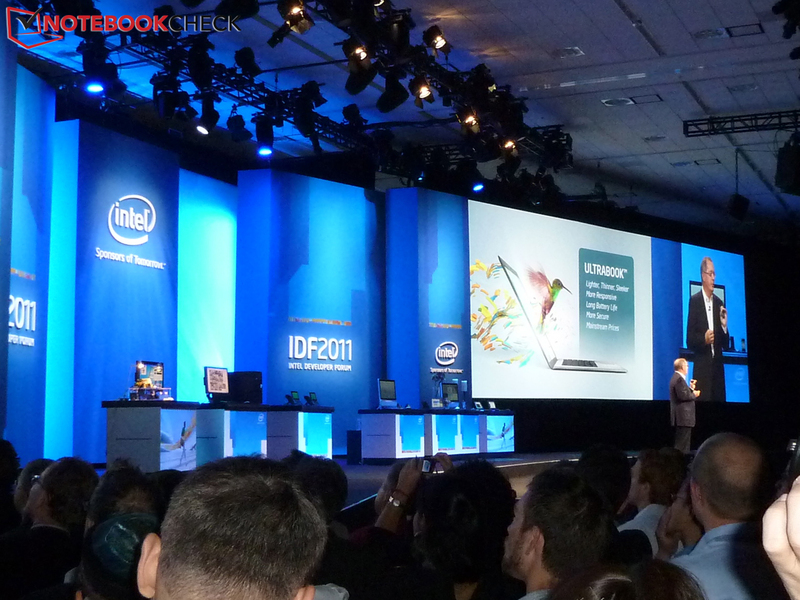 In addition, Andy Rubin, Senior VP of Mobile at Google, made a brief appearance and talked a bit about the collaboration between Google (Android) and Intel. 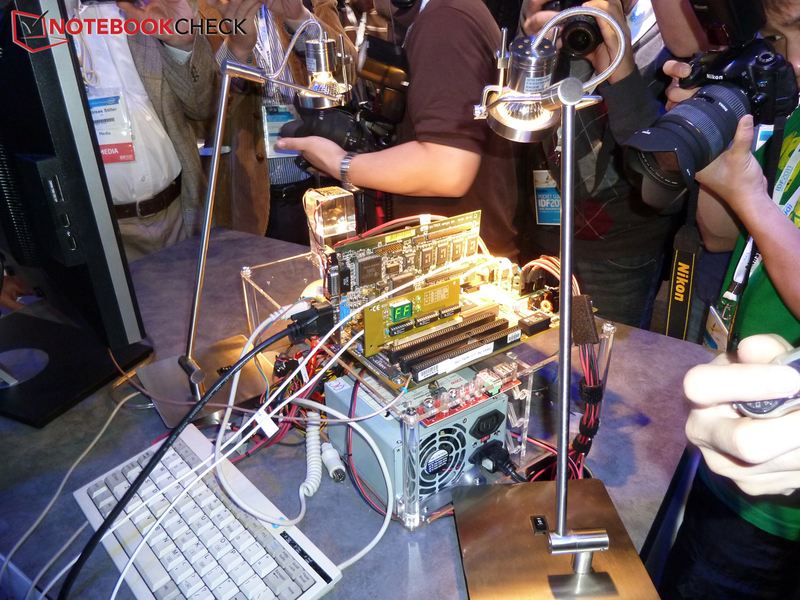 Unfortunately, no official announcements or hardware partners were specified for any of the devices, but they are expected to hit the market in early 2012. 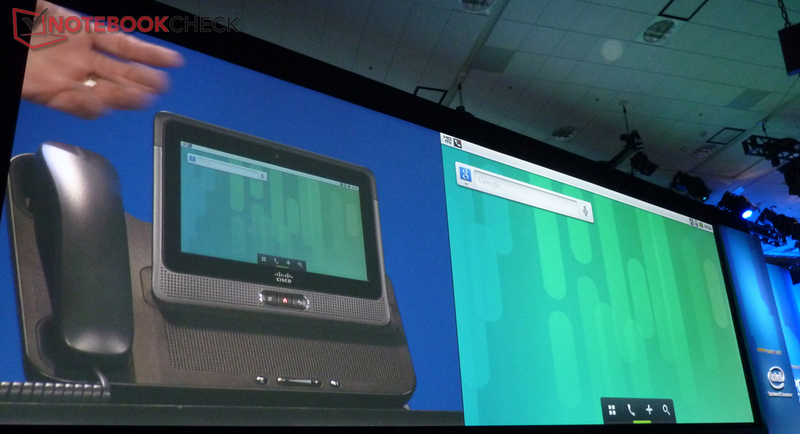 With regards to Android devices, Intel also made a point to display the secure connection available between Android, Windows and iOS. 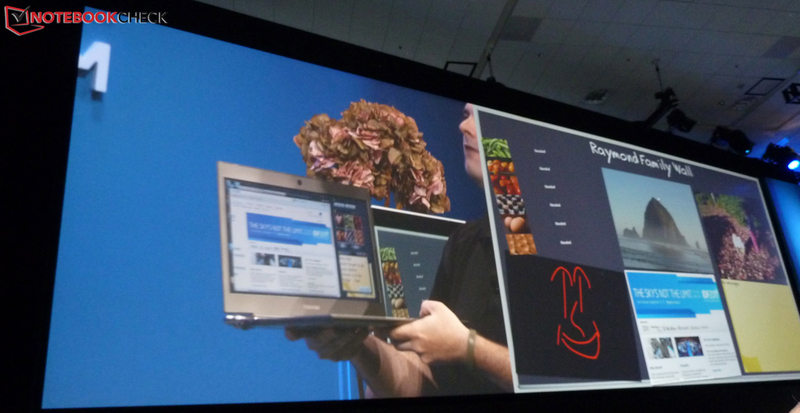 Thanks to a new software stack, photos, videos, and data (as well as notifications) were seamlessly "teleported" to a Windows desktop, and the feature is sure to prove useful in the future. 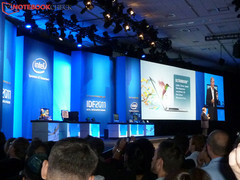 Finally, the keynote wrapped up with the usual charts about the fast-growing computer industry and technology, along with some of the first results of Intel's acquisition of anti-virus giant McAfee. The company appears to be developing a virus software that will be released soon; dubbed DeepSAFE, it will be able to use special functions found in current i3, i5 and i7 processors to detect rootkits and prevent implantation. 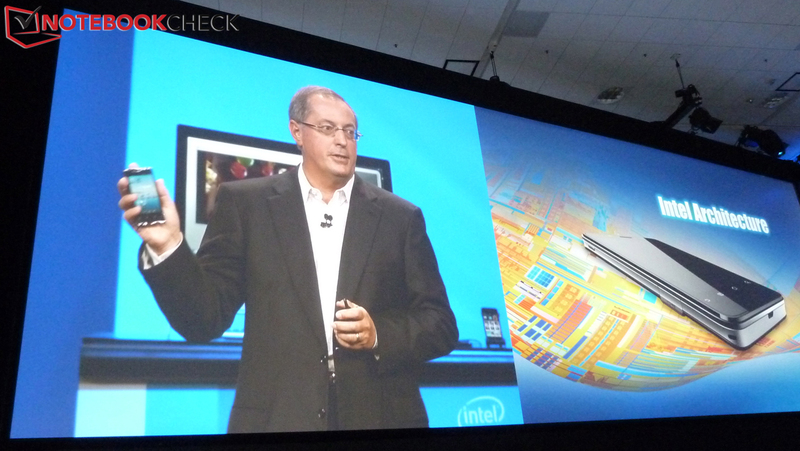 Of course how well the system works will only be evident in practice, but security looks to be a key issue for Intel, according to Paul Otellini.